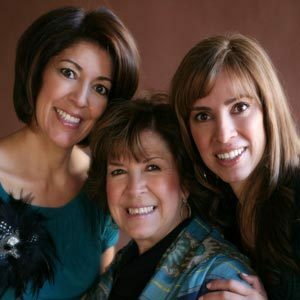 Yvette Marquez-Sharpnack, Veronica Gonzalez-Smith, and their mother, Evangelina Soza, are the creators of the blog Muy Bueno Cookbook, which is intended to preserve their culinary heritage. They’re also the authors of a cookbook by the same name, Muy Bueno. They learned to cook from their grandmother and mother, whose hospitality and recipes were legendary among family and friends. Easy, authentic, and awesome any time of day, whether accompanied by steaming hot coffee or cold cerveza. And you thought talking politics with Aunt Em was fun after she’s had a few sips of wine. Just wait’ll you slip her something stronger.